For weeks Americans across this land have been virtually paralyzed with a sense of desperation and hopeless despair as they watch reports of the unprecedented California forest fires destroying entire towns while leaving thousands of our fellow citizens displaced and homeless with nothing but the clothes on their backs. The heart wrenching scenes seem apocalyptic in scope. 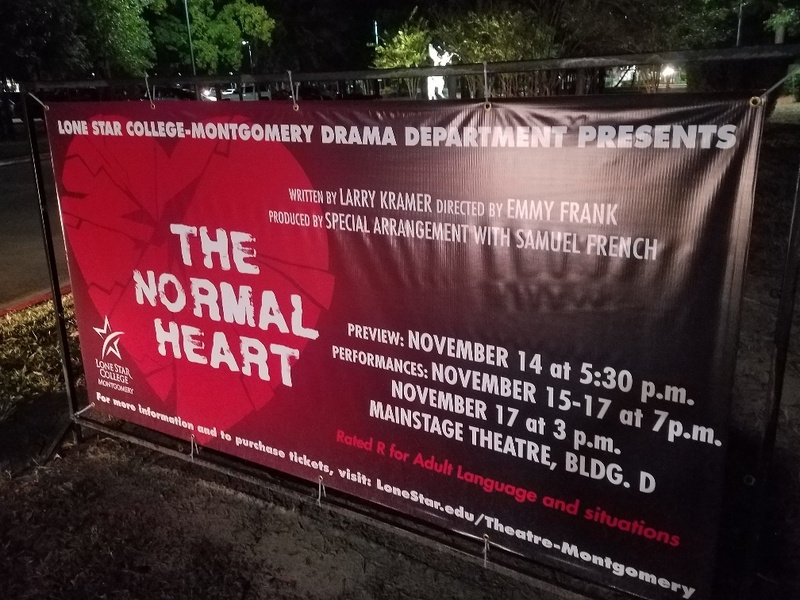 In some strange way, they seem to parallel the equally heart wrenching scenes in this month’s powerful production of Larry Kramer’s explosive and heartbreaking play, THE NORMAL HEART, as bravely performed by the talented young cast courageously directed by Emmy Frank at Lone Star College – Montgomery, in The Woodlands, Texas. Would that this were a work of theatrical fiction, rather than this tragic and fact-based 1980’s story of the early years of the AIDS crisis in New York City. Making the saga even more poignant has been the author’s revelation that his play contains many autobiographical elements from his own life experience during that horrifying era. Except for occasional tables, chairs, beds or hospital gurneys, the appropriately minimal set (designer Ross Brighten) presents us with a largely bare stage. That stage is dramatically crisscrossed, on both floors and walls, by angular, blood-red lightning bolts that seem to aptly depict the violent storm that is engulfing the city. The troubling plot revolves around a group of gay young men in Manhattan who have been watching countless gay friends die of a mysterious terminal illness. HIV-AIDS had not yet been identified or defined by the baffled medical community struggling to cope with the growing epidemic. A group of gay activists begins to coalesce around an effort to bring public attention to a crisis being largely ignored by politicians, press and the public. Leading the charge is the loudly outspoken, Ned Weeks (a powerful performance by Dylan Tobin). Ned meets resistance as he tries to secure financial assistance for the group’s efforts from his wealthy lawyer brother, Ben (Devin Ballou). When the brothers clash, Ned rages about how this crisis for gays echoes the way the Jewish “problem” was so widely ignored in World War II. The performances of Tobin and Ballou here provide plenty of fireworks. But they are not alone in offering high drama in this explosive play. Trip Gauntt portrays Bruce Niles, a closeted bank vice-president and less confrontational member of the group that would become known as Gay Men’s Health Crisis (GMHC). Fearing the unpredictable fury that Ned might bring to the public face of GMHC, the group instead selects Bruce as its president. Plenty of ensuing sparks will fly from other group members, including fiery performances from Angel Portillo as Mickey, and Devin “Judy” Norwood, who seems to literally take flight in giving us the stereotypically effete character of Tommy. (Interestingly, in the 2014 TV film version, that role was played by the more familiar Jim Parsons of Big Bang Theory fame). The excellent supporting cast included fine work from Jackson Hicks as Craig and Brian Vinson as David. 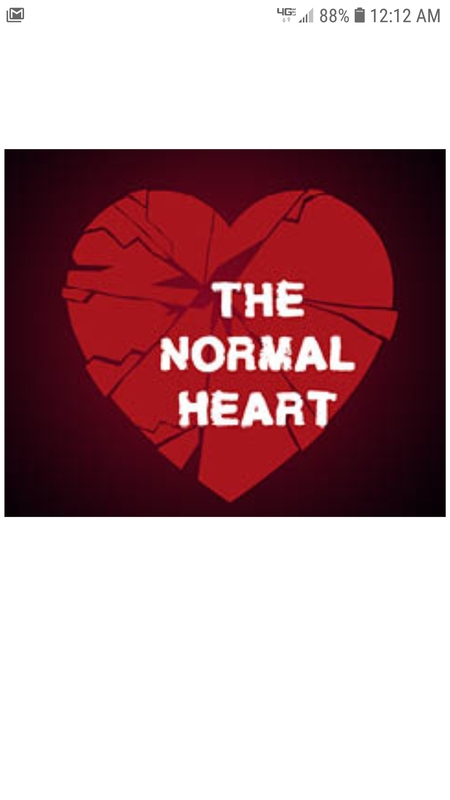 Standout performances came from lovely Anna Strickland as the compassionate Dr. Emma Brookner, and handsome David Martinez as Ned’s lover, the New York Times fashion/style columnist, Felix Turner. Strickland brings wonderful warmth to the story as a caring and concerned medical doctor and researcher desperate to find both a cure for the dreaded disease and an awakening of public and political awareness. For his part, Mr. Martinez gives an astonishing performance as a promising young career professional who has found success and love that are ultimately undone with his discovery that he, too, is infected by the unforgiving disease. His riveting death scene will linger long in memory, and one can only wonder how the actor could give both afternoon and evening performances of such power on matinee days. Bravo! 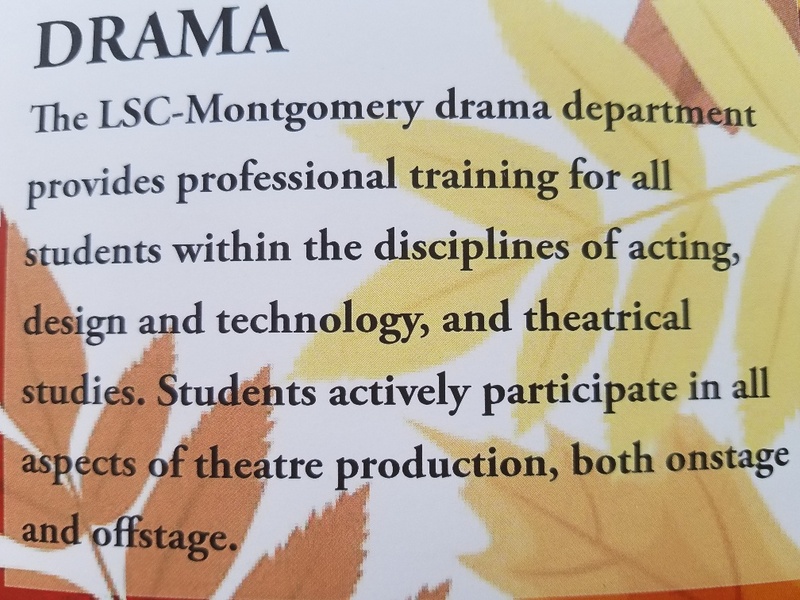 For Further Information about Theatre at LONE STAR COLLEGE – MONTGOMERY, visit the website at: www.LoneStar.edu/Theatre-Montgomery. A member of both The Lambs Club and The American Theatre Critics Association (ATCA), the columns of David Dow Bentley III have appeared on Broadway websites, in newspapers from the East Coast to the Gulf Coast, and may be viewed online at the website: www.ThePeoplesCritic.com . E-mail may be directed to ThePeoplesCritic3@gmail.com . This entry was posted in Broadway, BroadwayStars.com, Houston Chronicle online, The Courier Columns, Theater Reviews, ThePeoplesCritic.com and tagged American Theatre Critics Association, ATCA, Gay Men's Health Crisis, GMHC, HIV-AIDS, Jim Parsons, Larry Kramer, Lone Star College-Montgomery, The Lambs Inc., The Normal Heart. Bookmark the permalink.